And let's go to the Panels page. I'm going to use Coffee to jump over there. You see, there's many options here but we want to go admin slash structure slash panels. Now, if we had enabled Panels without Page Manager, we wouldn't have this option to manage pages. 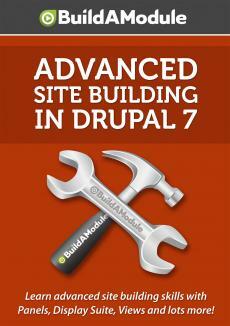 This allows us to override various pages that currently exist in Drupal and use Panels instead of the default. So we want the node template. So we're going to click Enable. And what we're looking at here is a list of configuration for Page Manager. Again, we use our pages that we can use to override existing pages or such pages in the current menu system. Right now the only one that's enabled here is node slash and then node which is our node view page. We can ignore the other ones right now. These are all disabled but they can come in handy later if we want to override them. For example, the User View page that allows us to view information about a user, we could set that up to use Panels as well. Okay. So I'm going to click Edit next to the Node View option, and now we have our configuration page here. Now, to better understand how this works, we can draw from our experience with the Context module if you've worked through those videos already. In the Context module, we create a context and the context contains two parts. It contains a set of conditions that need to be met in order for the context to apply and then a set of reactions which in our case was simply displaying boxes in particular areas of the page. In Panels, the structure is very similar but instead of creating a new context, we create a new variant. It's just a different word for the same thing. So let's begin by clicking this Add New Variant link. For the title, we'll put Review Node Type Page. For variant type, we're going to leave it Panel. Now, right now we're working within the Page Manager Tool Set. Again Page Manager is a separate module from Panels. But Panels is just one thing that we can use in Page Manager to override a particular menu item. If we click here, you can see we also have the option of using an HTTP response code which is normally used to redirect to another location.